If you’re more of a refined coffee than a large tea type of person then he appears, full length, front and back with the As the Crow Flies logo on a smaller mug (8.5cm high x 8cm wide) – also available in magenta or black. Take your pick! The mugs retail at £14/£12 for large/small, just email asthecrowsfly at live dot co dot uk to order. 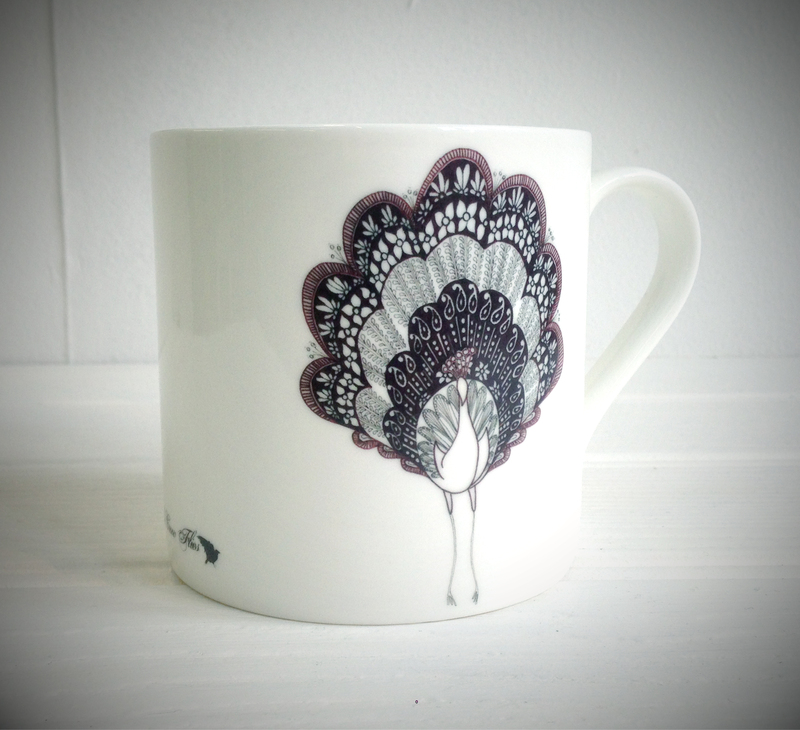 This entry was posted in ceramics, pictures, work and tagged artisan products, as the crow flies, AsTheCrowsFly, birds, bristol, ceramics, craft, creative, crockery, design, fine bone china, illustration, peacock illustration, peacocks, porcelain, pottery, summer by beezerella. Bookmark the permalink.